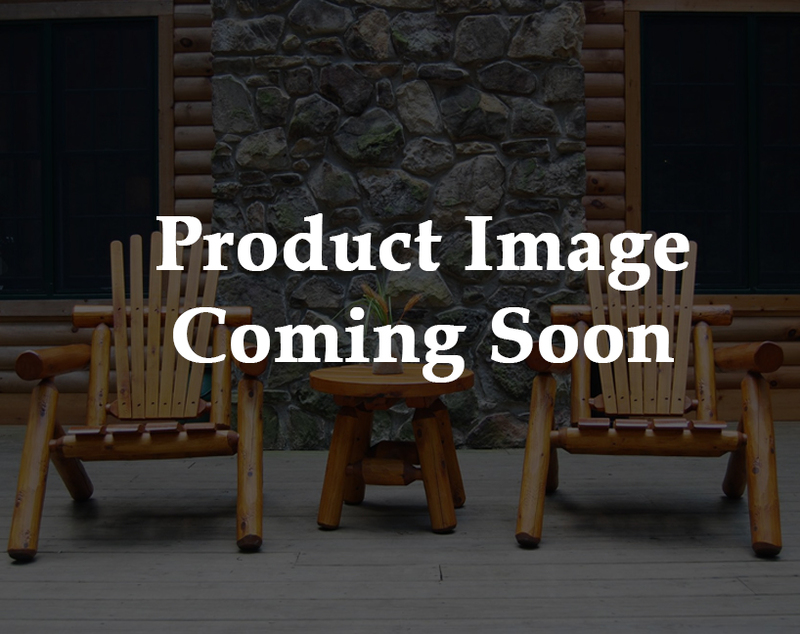 Briar Hill Rustic Furniture is a locally owned manufacturing facility of white cedar log furniture located near Leeper, a small community in northwestern Pennsylvania. Briar Hill is nestled midway between scenic Allegheny National Forest and Cook Forest State Park. The surroundings have inspired the rustic design of Briar Hill’s beautiful furniture. As one of the area’s unique finds, known to the tourists as “the place with the big swing”, Briar Hill offers its customers a rare opportunity of customizing their homes both inside and out. With both interior and exterior finishes and fabric selections to choose from, Briar Hill’s customers get furniture that truly expresses their own style and taste. Although Briar Hill came into existence as a retail business, it has expanded throughout the years to accommodate a nationwide need for log furniture. Briar Hill has become known throughout its’ industry for its’ superior quality products; and thus, its’ wholesale market is constantly expanding. Briar Hill uses Michigan white cedar almost exclusively in its’ furniture because of its resistance to rot and insects. These features, combined with the natural strength of a log, ensure the many years of lasting durability and beauty of each piece. Beautiful Pennsylvania white pine is used for table and bench tops. Since pine compliments the clear, creamy white texture of white cedar, they are a perfect match. For Briar Hill’s Gardenbrooke Classic and Cedarbrooke Collections, a quality exterior finish with sunscreen is recommended. Exterior stains provide excellent protection with little maintenance. Follow the manufacture’s instructions for best results. Or, you may choose to let nature finish your outdoor furniture. In time, it will turn a beautiful silver-gray. Briar Hill’s Lodgebrooke Collection is finished with an interior hand-rubbed stain before lacquer is applied. There is a wide range of colors to choose from. Or, you may prefer the natural honey hue that white cedar develops indoors with just lacquer applied. The quality and care put into each piece of Briar Hill Rustic Furniture will make you proud to display it in your home. From decks, patios, and formal garden settings to dining rooms, dens, living rooms, and bedrooms, our selection of finishes and fabrics ensure a very customized, personal look. Briar Hill Rustic Furniture will, indeed, add comfort, warmth, and charm to any home. Rustic furniture is not just for people who live in the country or for people with the means to build an entire home out of ornate timber. Our cedar furniture is not just for rustic settings like the mountains of Colorado, Wyoming, Northern California, or Western Carolina. Rustic furniture is an affordable furnishing solution for any home. You just have to imagine the possibilities of decorating with wood. Then select the furniture pieces from Briar Hill that work with your overall design scheme. You can add rustic furniture pieces here and there inside your home or furnish the whole house with our exquisite wood designs, crafted to natural perfection for your enjoyment. Cedar furniture also represents a good investment for homeowners. You should expect to pay a little more for top quality, handcrafted furniture. You make your purchasing decision with the secure knowledge that your furniture will get decades of use from your cedar furniture pieces. 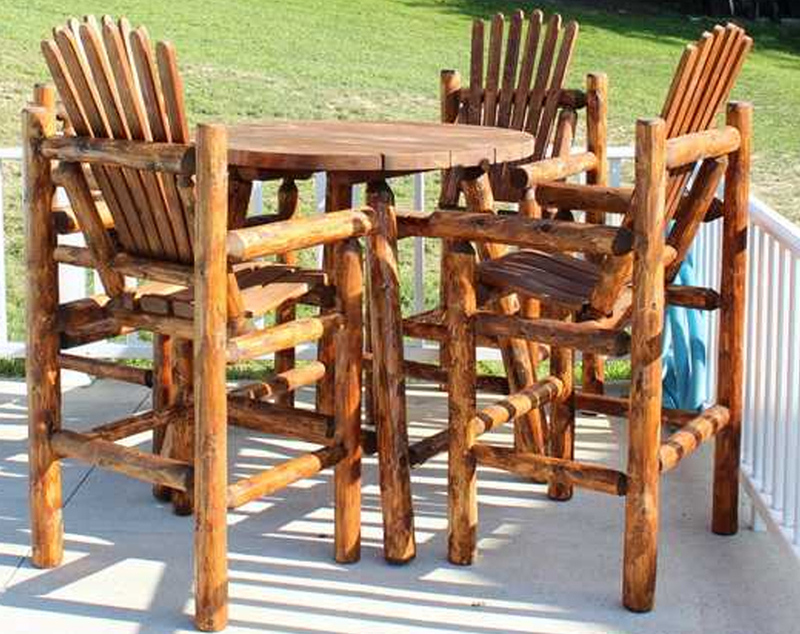 Lounge chairs for your deck are not the only specialties of Briar Hill Rustic Furniture. 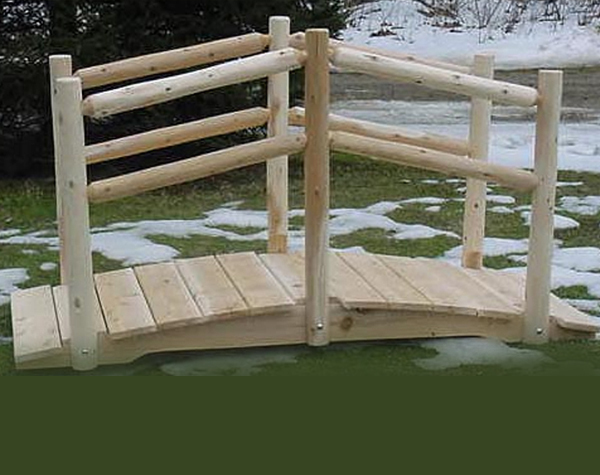 We can shape cedar into many kinds of rustic furniture, perfect for decorating the inside and outside of your home. Look around our website and discover the possibilities of our cedar Rustic Bedroom Furniture. That’s right! We’ve got beautiful bedroom sets, from luxurious cedar beds to night tables, dressers, armoires, and bookcases. Our cedar creations will work together to transform any bedroom into your cedar paradise. When you sleep in a cedar-furnished bedroom, you are always assaulted by the pungent aroma of your cedar furnishings. This earthy, woodsy scent becomes a permanent part of your lifestyle. You will love it so much that you will be eager to add other pieces to your home. On our website, don’t forget to bring that pungent cedar aroma to the outdoors with perfect pieces for indoor and outdoor porches and sunrooms. Consider the fun option, our Cedar Porch Swing, a perfect place to lie down and curl up with a good book. Or, you can decorate your deck with our handcrafted White Cedar Rocking Chairs. We are so glad you stopped by to explore the possibilities of indoor and outdoor cedar rustic furniture. We look forward to answering your questions about pricing, shipping, decorating, and other details of acquiring cedar furniture. At Briar Hill Rustic Furniture, we are sure that our furniture pieces will meet your home decorating needs for many years to come.